Price’s Point is more than just a reef in the Gulf of Mexico! It is a living memory to the amazing life of Price Thornal. 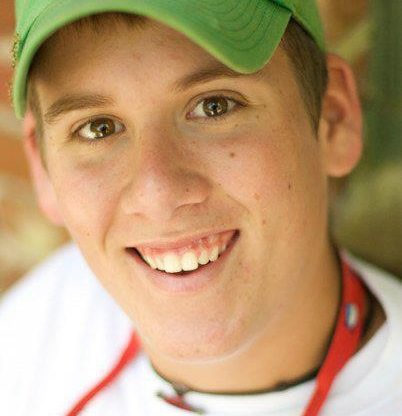 Price Thornal was a week from his 20th birthday when his life was cut short in a tragic accident while driving back home from Ole Miss during Easter weekend. He was a Christian, a graduate from Leon High School, an Ole Miss Freshman, a member of SAE, Young Life and had many other wonderful accomplishments under his belt. After Price’s death, family and friends came together to begin to think of ways that would honor his wonderful memory. We knew we wanted to give back, and scholarships, donations and a reef in his memory were what naturally came along. For the past 5 years, Price’s Point weekend has been known to be many things, a time to fish, a time to heal, and a time to gather with great friends and family to remember what Price meant to all of us. In the past year, thanks to the help of all those involved, we were able to deploy – through the Organization of Artificial Reefs, Price’s Point Reef, which is about 8 miles south of St. Teresa Beach. This reef stands as a reminder of one of the things Price loved most, being on the water and fishing. We hope that all enjoy this wonderful place for many generations to come take a time to remember and reflect on Price. The centerpiece of Price’s Point is a 40′ long steel cross that contains some of Price’s ashes! Other charitable events that Price’s Point has given to are Young Life, Manna (Bradfordville First Baptist Church), Leon High School and Ole Miss. A scholarship has been set up in Price’s name at Leon – called the Price William Thornal Award.